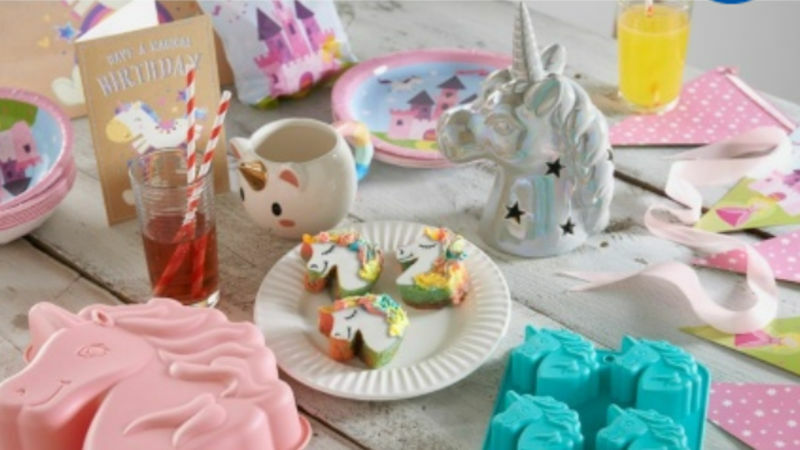 B&M have jumped on the current unicorn trend by releasing a new range of homeware- and everything is unicorn themed. The bargain brand has loads of different unicorn bits and bobs so you can kit out every room in your house with unicorn accessories. 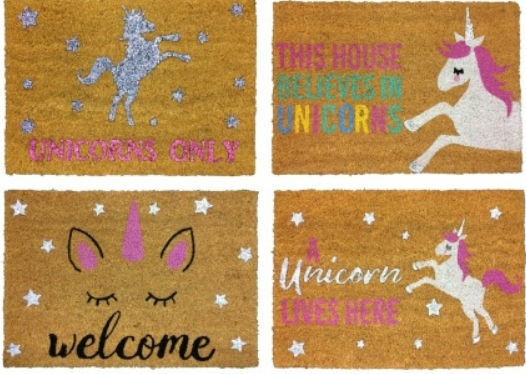 The range includes doormats with cute unicorns on, which come in four different designs with different slogans on, and only cost £4.99. For any bakers, you can get unicorn shaped silicone molds, to make unicorn cakes and add some magic to your cooking. 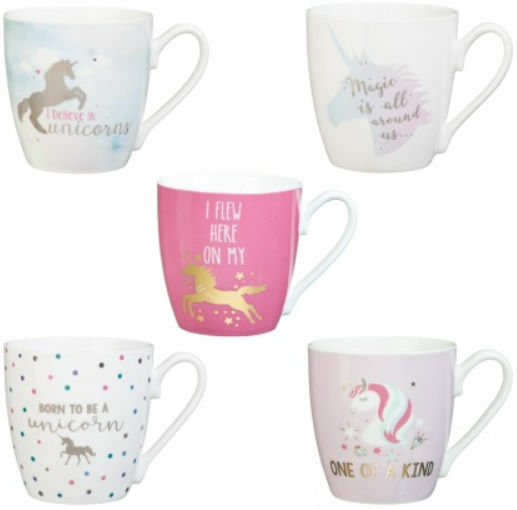 There’s also some magical unicorn mugs, which cost just £1.99, and have different unicorn patterns and pastel colours on. Pets won’t miss out on the unicorn fun either- you can get a unicorn dog bed or a unicorn scratching posts for cats, and both are just £9.99. Fans can also get unicorn cakes from Morrisons, which is a Madeira sponge cake with raspberry jam and icing, but wrapped in a layer of soft white icing and finished with an edible horn and ears, and it’s only £10. Mr Kipling are also selling unicorn themed cake slices, if you want something smaller than a whole cake. They’re vanilla flavoured, with a mixture of a two colour pink batter, yellow mallow, and purple icing, with a unicorn decoration on top.